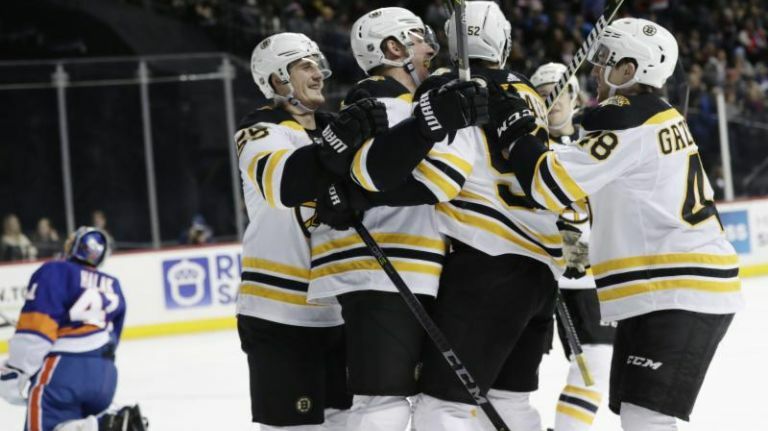 Amidst the Patriots and Celtics’ dominance, the Bruins have quietly become the hottest team in Boston while we wait for the NFL’s divisional round next week. The C’s recently went 5-6 over an 11-game stretch before winning their last three in a row. The Pats won their last three games of the regular season after losing to the Dolphins on December 11th, but we don’t get to watch them again until January 13th. In the meantime, the B’s have gone 16-3-2 in their last 21 games and won seven of their last eight. Their most recent win was a 5-1 thrashing of the Islanders in Brooklyn on Tuesday night. Before the turnaround began, they lost four in a row to fall to 6-7-2. At the same time, the Celtics were 14-2 coming off a win over the Warriors and the Patriots had won five in a row to improve to 7-2. The Bruins were an afterthought for Boston sports fans. There were simply no expectations for this season. Tuukka Rask was in the middle of one of the worst stretches of his career and was temporarily benched for Anton Khudobin. That four-game losing streak ended with a win against the Kings in Los Angeles on November 16th, and in the seven weeks since then the Bruins have been the hottest team in hockey. Tuukka is looking like the 2013-2014 Tuukka who won himself a Vezina Trophy. He was named the NHL’s first star of the month for December after going 9-0-1 with a 0.955 save percentage. Offense hasn’t been an issue either for the Bruins, who have now scored five or more goals in four of their last eight games. They’ll look to keep up the momentum on Thursday when they take on the Florida Panthers at the Garden. Puck drops at 7. Next Bruins Preview: Where Will They Finish In 2018-19?